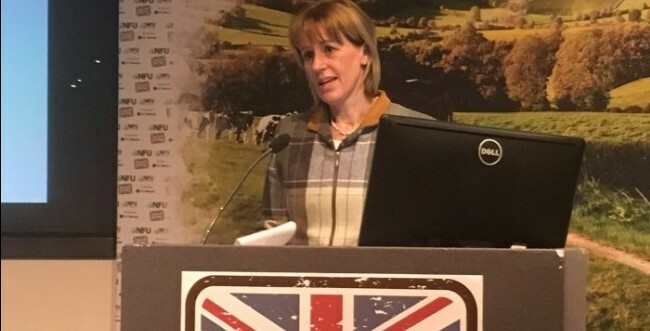 The Livestock Information Service has the potential to transform the livestock sector through greater transparency and data sharing, NFU president Minette Batters said today at the British Cattle Breeders Conference. With the UK currently due to leave the EU on March 29, and with the Agriculture Bill making its way through Parliament, Mrs Batters highlighted that the Bill has a huge part to play in improving how data is used in order to increase productivity and transparency in the supply chain. Mrs Batters said: “Britain has the potential to be the number one supplier of choice globally. If we are to build upon our reputationof producing some of the best meat in the world, we need to be on the front foot when it comes to quality, accurate, easy-to-use data.